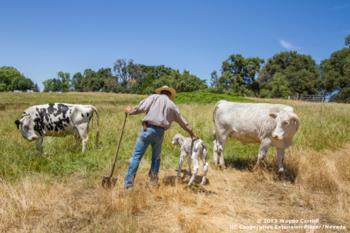 A variety of useful resources for farmers and ranchers are available on the Internet. Below is a selection of free and paid-subscription newsletters, blogs, and webinars from universities, extension programs, and sustainable agriculture organizations around the country. Getting Started in Farming (Cornell Small Farms Program): Beginning farmers and ranchers share their perspectives on getting started in agriculture, choosing an enterprise, marketing, the importance of profit in sustaining a farm enterprise, dealing with regulations, taxes, and insurance, and other topics. Click "Playlist" on the bottom left corner of the video box to see all farmers and topics. On-Farm Production Techniques (Cornell Small Farms Program): Experienced farmers and ranchers demonstrate techniques for growing transplants, irrigation, animal husbandry, running a small dairy, making cheese, growing herbs, and many other processes. Click "Playlist" on the bottom left corner of the video box to see all farmers and topics. Ranching for Profit (Ranch Management Consultants): Key ideas for managing your operation as a business, rather than "a pile of assets and a collection of jobs." This channel includes four short videos, narrated by Dave Pratt, President of Ranch Management Consultants. Western SARE Simply Sustainable SARE's mission is to advance — to the whole of American agriculture — innovations that improve profitability, stewardship and quality of life by investing in groundbreaking research and education. Get the latest information on Western SARE by reading current and past newsletters. Publications include NCAT ACTION (quarterly newsletter), ATTRAnews (bimonthly newsletter), ATTRA Weekly Harvest, Cosecha Mensual (Spanish language sustainable agriculture newsletter), and SIFT (Small-Scale Intensive Farm Training Program) News. Subscribe here. Cornell Small Farms Program News A bi-monthly update, targeting farmers and the agriculture industry in the Northeast, that provides announcements, events, job and internship opportunities, grant and loan opportunities, and other small farm resources. Ranch Management Consultants presents a free one hour webinar each month. These interactive programs feature Dave Pratt sharing principles taught at the Ranching For Profit School. A recording of the latest webinar will be available to view for a month following each live broadcast. Presented by eXtension, an interactive learning environment delivering researched knowledge from land-grant universities to consumers. 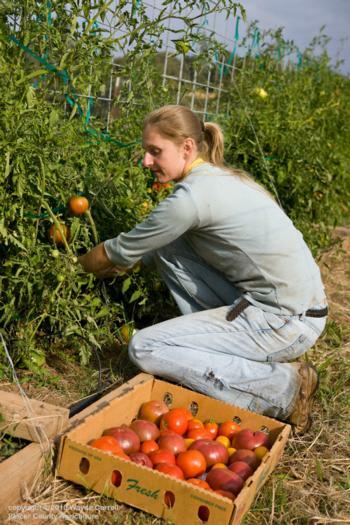 • Scouting for Vegetable and Fruit Pests on Organic Farms. Foothill Agrarian. One of Placer County's own! 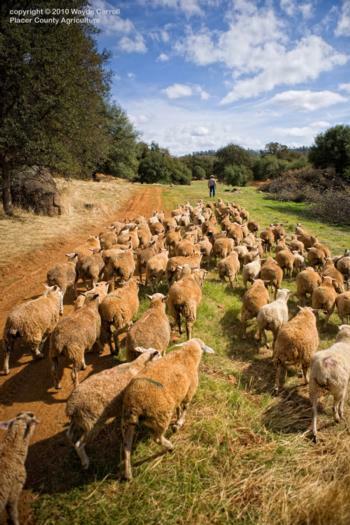 Dan Macon, owner of Flying Mule Farm, writes on all things concerning sheep and ranching in the Sierra Nevada Foothills. Topics range from the economic viability of small-scale ranching to the pleasures of managing his herd. National Sustainable Agriculture Coalition. NSAC is an alliance of grassroots organizations that advocates for federal policy reform to advance the sustainability of agriculture, food systems, natural resources, and rural communities. This blog discusses these issues and advocacy efforts. National Young Farmers Coalition. A group of young and sustainable farmers organizing for their collective success by defining the issues that beginning farmers face, fighting for the policy change that they need, and bringing farmers together in person and online to learn, share and build a stronger community. Southern Sustainable Agriculture Working Group (SSAWG) BLAWG. SSAWG was founded in 1991 to foster the sustainable agriculture movement in the southern United States. The SSAWG BLAWG reports on activities of the organization and on the state of sustainable agriculture around the country. Growing for Market keeps farmers and market gardeners informed about the business of growing and selling vegetables, fruits, cut flowers, plants, herbs, and other food products. At whatever scale, this publication contains valuable information that will help make your business more profitable and enjoyable. For online subscriptions, click here. For print subscriptions, click here. Acres U.S.A.: A monthly publication that covers commercial-scale organic and sustainable farming and offers a comprehensive guide to sustainable agriculture. Subscribe here. Small Farmer's Journal: This quarterly international agrarian journal has steadfastly held that the most important, useful and vital component of all agriculture is the independent family farm. Subscribe here. Farmers' Markets Today: A magazine published six times a year as a resource for direct market farmers and managers and vendors of farmers' markets. Includes stories about what growers, artisans and farmers markets are doing to promote their businesses, reach new customers and develop value-added products. Subscribe here. UCCE Foothill Farming on Facebook — join the conversation! Note: UCCE Placer/Nevada provides links to external sites for the convenience of users. These external sites are not managed by UCCE Placer/Nevada. Furthermore, UCCE Placer/Nevada does not review, control or take responsibility for the content of these sites, nor do these sites implicitly or explicitly represent official positions and policies of UCCE Placer/Nevada.